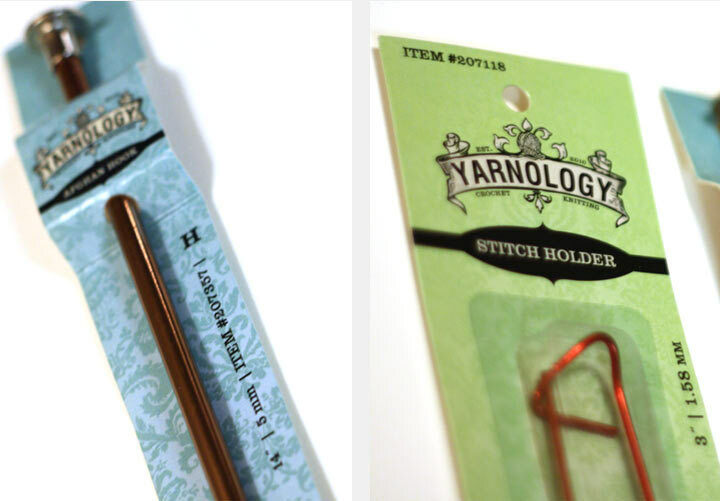 After the successful launch of Sewology, Hobby Lobby's "boutique style" in-house brand of sewing notions, I was asked to help develop a sister-brand (in the same style) featuring crochet and knitting items called Yarnology. The challenges were similar to its sister-brand as well; there are many different types of products and various shapes and sizes under the Yarnology umbrella, and the brand must accommodate them all. (Hundreds of skus!) Unique colors represent different categories within the family and multiple types of packaging are used to fit the individual product while still maintaining the trademarks of the brand.